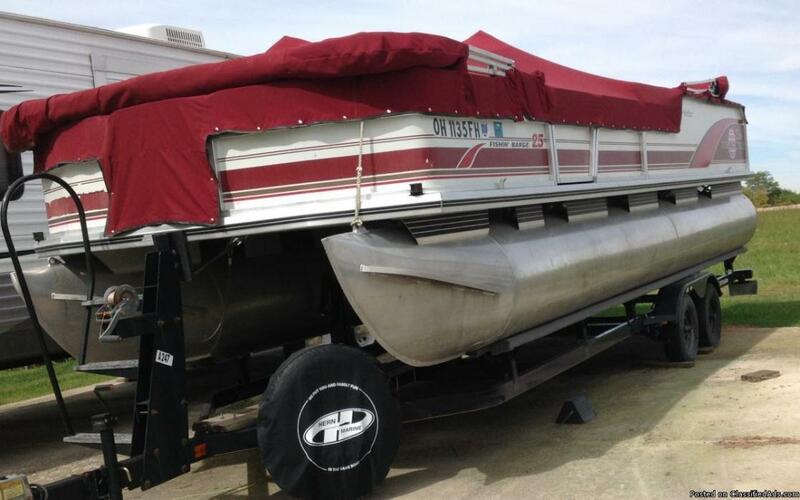 FOR SALE IS A 1985 20' WEERES FISHING PONTOON. BASIC OPEN FLOOR, WITH 2 FISHING CHAIRS UP FRONT, A DRIVERS CONSOLE, DRIVERS SEAT, AND A TALL BIMINI TOP. POWERED BY A 50HP JOHNSON OUTBOARD ENGINE. THE ENGINE HAS BEEN SERVICED WITH SPARK PLUGS, CARB KITS, FUEL PUMP KIT, IMPELLER, GASKETS, AND LUBE. 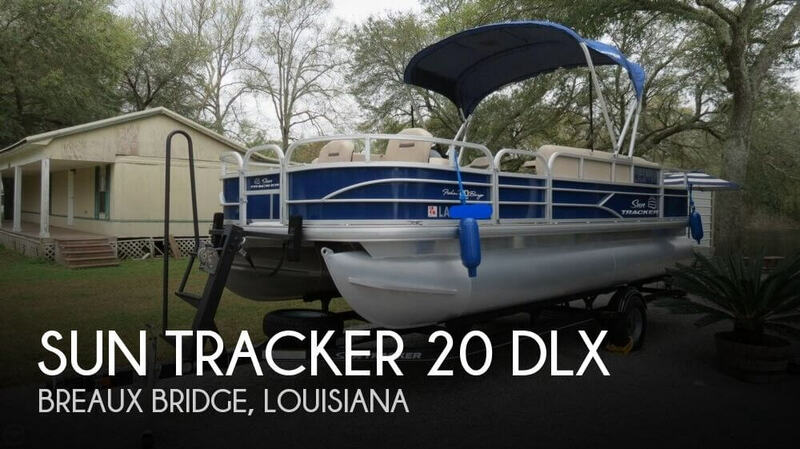 IT HAS 2-6 GAL FUEL TANKS, 2 BATTERIES, 12V TROLLING MOTOR (ONLY WORKS ON ONE SPEED), A HUMMINBIRD DEPTH FINDER ON THE CONSOLE. SITTING ON A FLOAT-ON STYLE TRAILER W/ SPARE TIRE. CARPET ON THE FRONT DECK HAS SOME BARE SPOTS. 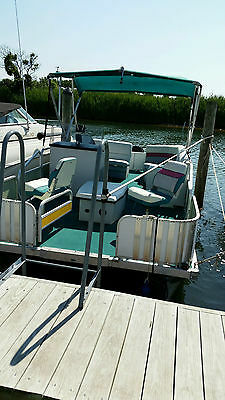 THIS BOAT MAYBE A LITTLE ROUGH AROUND THE EDGES, BUT IS A GOOD SOLID LITTLE BOAT FOR THE MONEY. READY FOR THE WATER. FOR MORE INFO CALL MIKE @ 423-519-3217. NO TEXTING PLEASE! 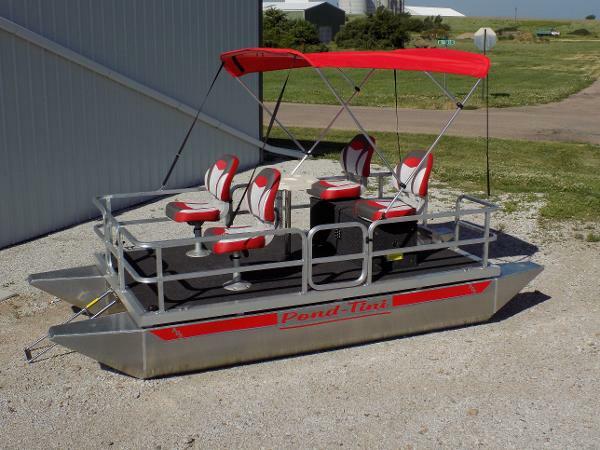 2 pontoon fishing seats, 1table, 1 battery or fish box. Good condition. $150 for all. 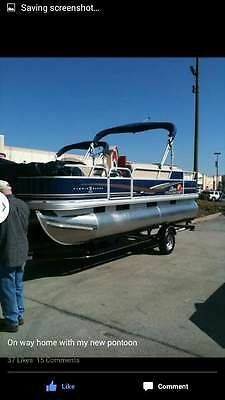 24 foot pontoon with a full hard top. Solar battery charger. Equipped with lights on the inside of the top and spot lights front and back. Has a 75 hp Evenrude motor. Motor needs a little TLC but does run. Portable 5 gallon gas tank. New tires on the trailer. Lots of room and lots of fun. Great for fishing or family outtings. Price is firm at 4000. Not Nagotiable. 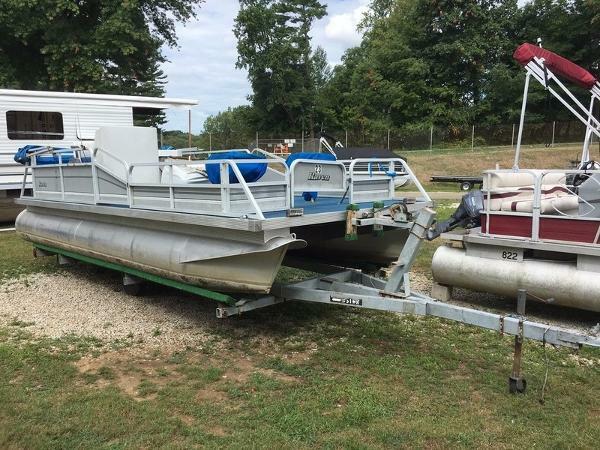 1996 Grumman pontoon boat with 70hp engine. 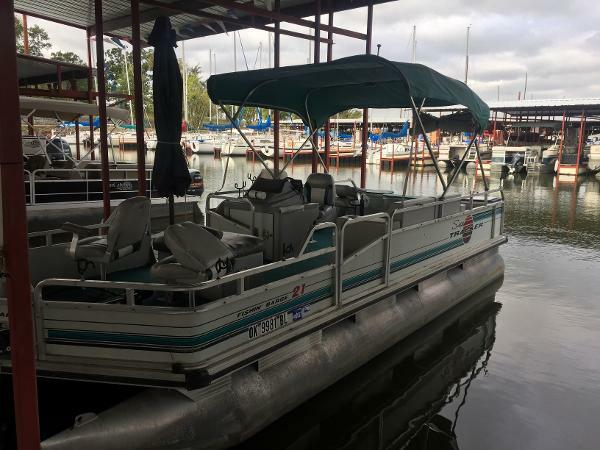 This is for a BUCKS BAGS PONTOON FISHING BOAT, as seen in the photos. 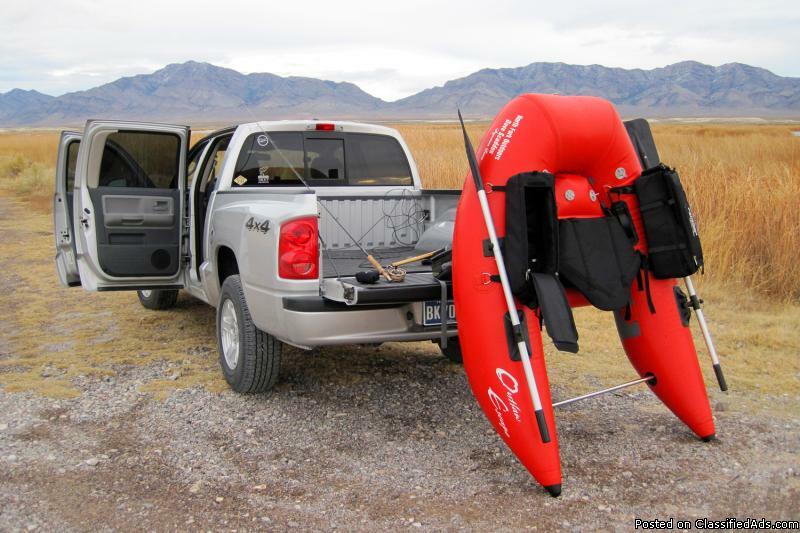 This versatile craft allows access to small rivers and areas of the beaten path that most other boats would find off limits. It is light weight, 130#, compact, and highly maneuverable. It is also made from the best materials available and is built to last. It is a two person pontoon boat. 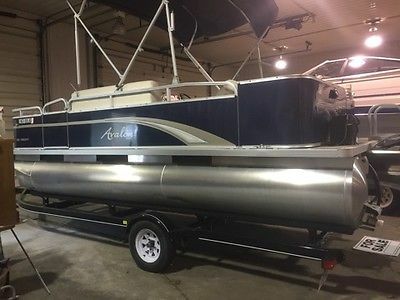 The pontoons are dual chamber 15.5' long and the boat is 5'3" wide. It will handle 500#s of fisherman and cargo. It not only works well in rivers and streams, but with it's motor mount and battery holder , and the MINN KOTA trolling motor and battery, it will do lakes as well. It has custom seats, poles, and rod holders.It will fit on a roof rack, and some pickup beds for transporting. 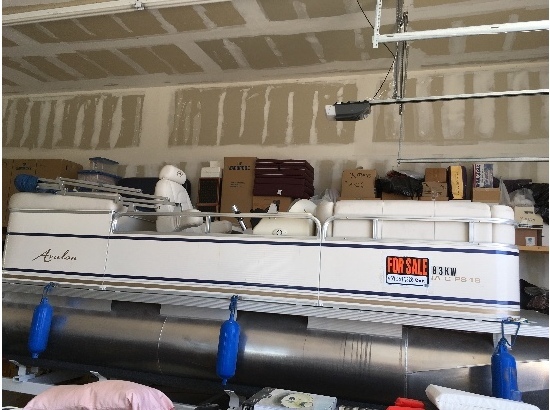 It is in excellent condition and will give many years of fishing pleasure. It is fully assembled. Bought new, the original owner will make arrangements for local pickup only. It is located in the NORTH JACKSON, OHIO 44451 area. Any questions, please call 1-330-360-9034. THANK YOU!